Is Your Dog Suffering from Stinky Lip Fold Dermatitis? Here’s Why & What You Can Do! A serious case of lip fold dermatitis is often distinguishable by smell alone—it can smell terrible! It’s not uncommon for dog owners to mistake the stench for bad breath. If “bad breath” persists even when your dog’s mouth is closed, and/or you take good care of your dog’s oral health, lip fold dermatitis might be the issue. Not only can inflamed and irritated skin folds around the mouth start to smell bad, but also, this condition can be painful to your dog. Without treatment, the issue will likely get worse and turn into a more serious condition such as pyoderma, which is a bacterial infection and skin disease. Does Your Dog Have Saggy Lips, a Droopy Muzzle, or a Wrinkly Face? Shar Pei, Basset Hound, Bulldog—just about any dog breed with an adorably smushed-up face is prone to lip fold dermatitis. While saggy skin or a droopy muzzle make your dog’s face uniquely adorable, they also put your dog at a predisposition to lip fold dermatitis. The deeper the creases and saggier the lips, the more likely dirt, debris, water, and food are to get caught in folds. 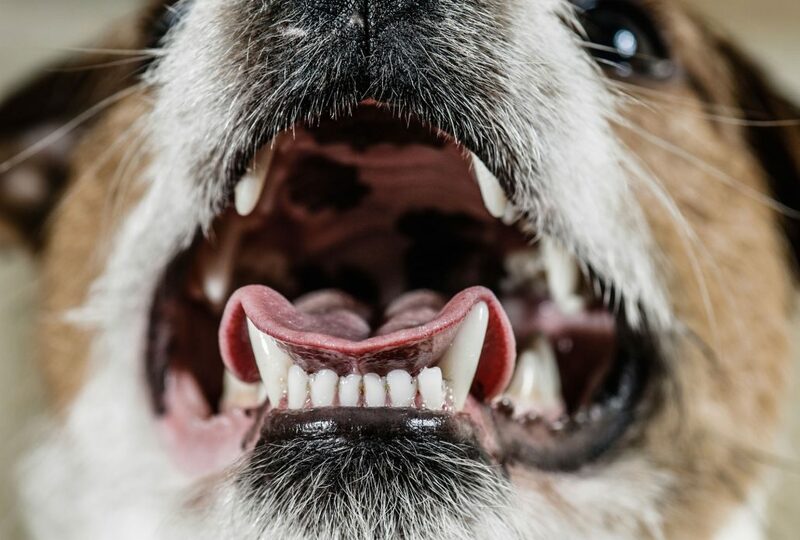 These dark moist places are ideal for bacteria to thrive, especially when you add food and debris to the mix—did someone say there’s a feast on the side of Fido’s mouth? Just imagine all the things your dog’s mouth encounters each day. From food, to dirt, to his own drool, so much stuff can get caught in lip folds. Regular cleaning can help keep debris out of skin folds, thus reducing the risk of infection, irritation, and foul odors. But even top-notch cleaning practices can fail to solve all potential issues. This is especially true for extra deep creases, when the upper tooth sits directly on the lower lip, and for dogs that drool a lot. In some cases, hygiene has nothing to do with the issue. Instead, the stinky trouble can result from an allergy to a certain food or a plastic dish—just to name two potential culprits. Regularly cleaning out your dog’s lip folds and other facial wrinkles is key to preventing an accumulation of materials that are irritating and serve as food for bacteria. The problem can become painful, causing your dog to shy away from you when you try to clean the area. If the problem is severe, it’s important to visit your veterinarian because an antibiotic may be necessary to combat the underlying infection. Shave the area around your dog’s mouth so it’s easier to clean, medicate, and keep track of progress. Apply a gentle dog-friendly ointment such as Wrinkle Balm to the area on a regular basis. What is Lip Fold Surgery? If nothing works and the inflammation, irritation, and stink persist, your veterinarian may suggest lip fold surgery. Lip fold surgery is an option when nothing else works and you simply can’t manage the issue on your own. The goal of the surgery is to eradicate lip folds altogether. It can also be used to prevent drooling for cosmetic purposes, but that’s a story for another day. The procedure entails snipping and removing a part of the lip fold and then stitching it back up. After all is said and done, it should form a normal lip with no folds. While this may sound terribly painful, it’s not as bad as you might be imagining. Dogs can typically eat food the day after surgery. Still, they can’t chew on anything for around a month and must resist rough-play for several weeks. Wrinkle Balm helps keep dirt, grime, and muck out of lip folds so that your smush-face pup can get close to you all the time without you hollering: “EWW, what’s that smell! ?” As mentioned before, lip fold dermatitis can be rather painful, so treating the issue also helps provide relief to your dog. Wrinkle Balm is specially formulated to reduce irritation and infection of wrinkles—including the folds around your dog’s mouth. It is made from 100% all-natural and safe ingredients so you don’t have to worry about your dog licking it or ingesting some. 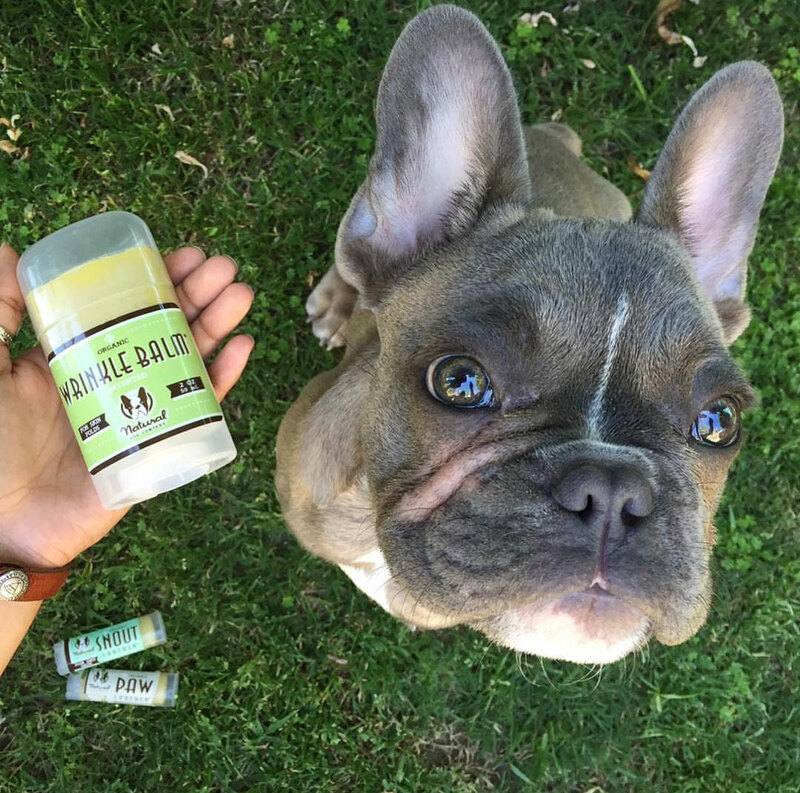 Learn more about Wrinkle Balm + all the pawesome ingredients packed inside! https://naturaldogcompany.com/wp-content/uploads/2018/07/DogMouth_web.jpg 1349 2000 Becky Bruce https://naturaldogcompany.com/wp-content/uploads/2015/06/logo-trans-300x92.png Becky Bruce2018-09-21 11:11:282018-09-21 18:37:36Is Your Dog Suffering from Stinky Lip Fold Dermatitis? Here’s Why & What You Can Do! Are You A Good Match For The American Bulldog? Here’s How To Find Out! How to Know if Your Dog Has a Tail Pocket Why Does My Dog Lick Its Paws So Much?